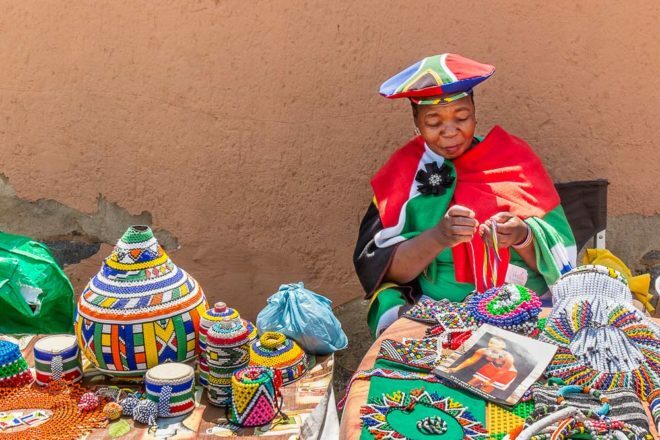 African zulu lady sells her beadwork: Vilakazi Street, Soweto. FNB Stadium is shaped like a traditional drinking vessel known as the calabash. 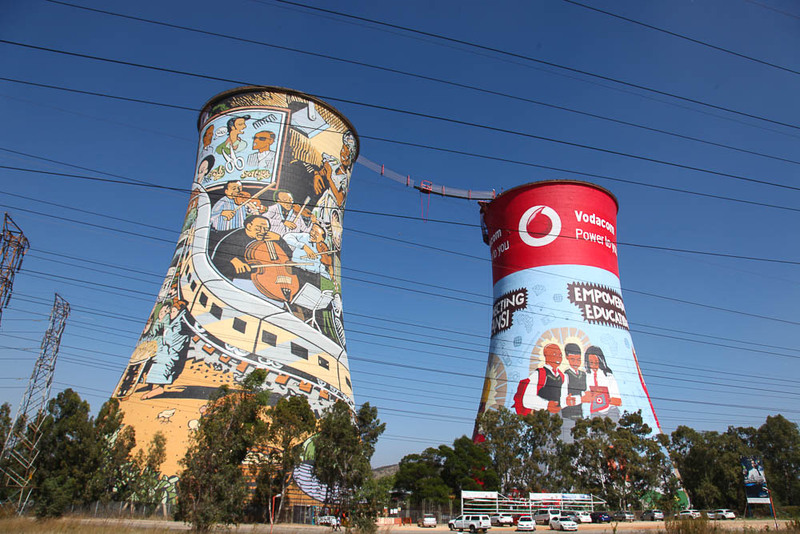 Long-term Soweto landmark turned bungee platform Orlando Towers (photo: Steve Madgwick). 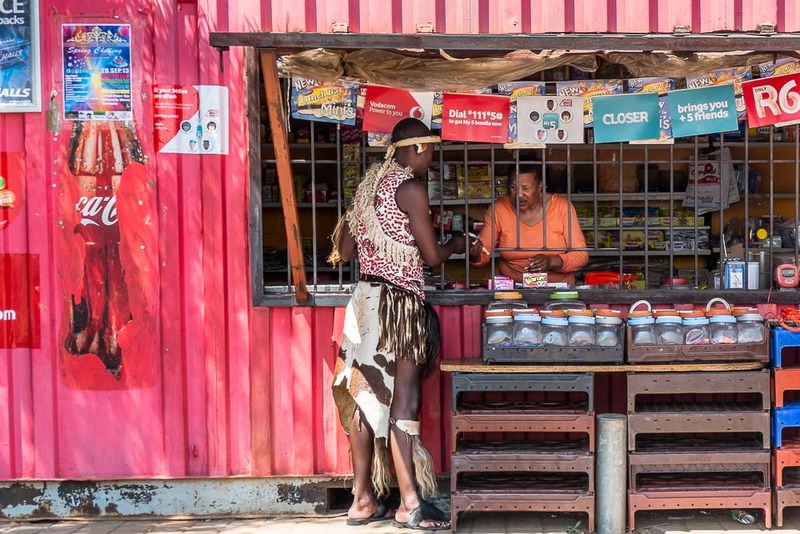 African zulu man shops ping at a spaza shop in Orlando, Soweto. 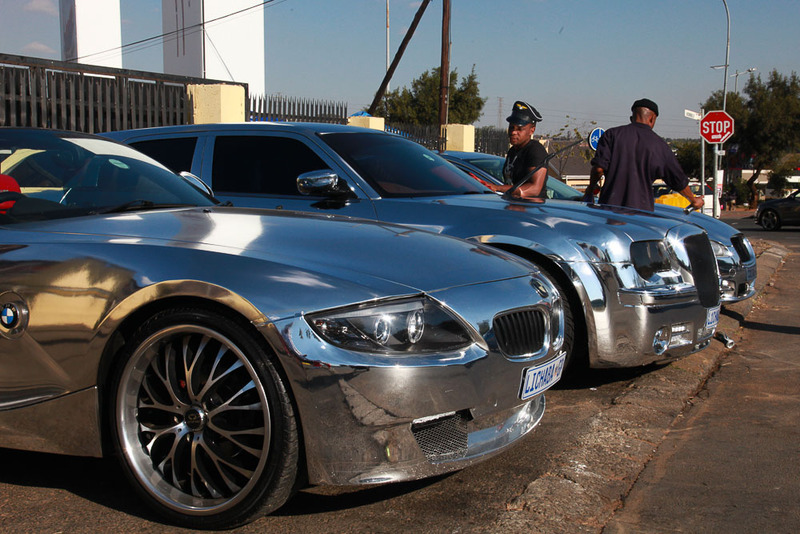 Soweto bling: wealth has slowly been creeping into the township over the past 20 years (photo: Steve Madgwick). Nelson Mandela's old house, Vilakazi Street, Orlando West, Soweto. An aerial view of a residential area within Soweto. Soweto was once the centre of a human rights struggle that the world watched live on television. It was a place that tourists and white South Africans would not only not want to go to, but were indeed not allowed to go to, by law. 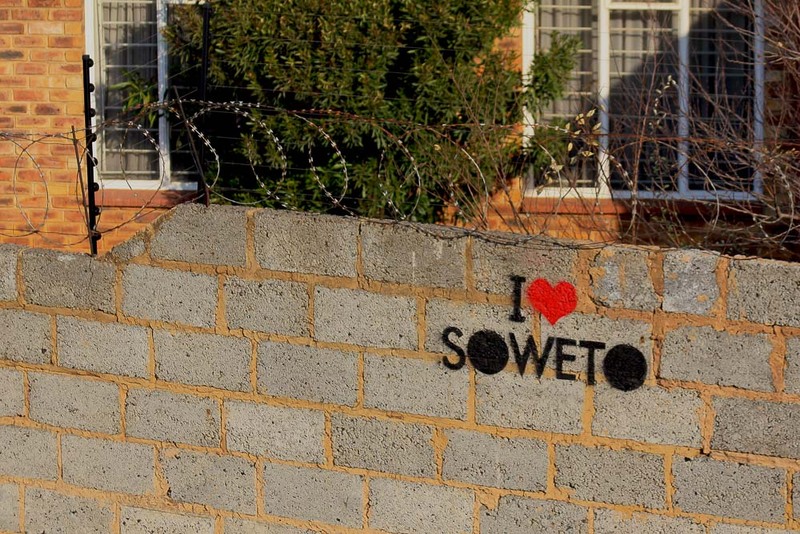 Today, regardless of your colour or creed, Soweto is the best thing you can do on a visit to Johannesburg. As part of the post-apartheid ‘Rainbow Nation’, it is still a split metaphor; a symbol of poverty but also, increasingly, hope – a poster child for the new South Africa. It’s a cultural lesson with a vibrant polarity: you can bungee jump or see how the other more-than-half really live. A bicycle, walking, bus or even tuk tuk tour of Soweto gives you a small, safe and rewarding taste of the way a huge percentage of South Africans live: in townships. The main reason you’ll want to head to Vilakazi Street is to see House 8115 in Orlando West, the former home, now museum, of mega-hero Nelson Mandela. The unassuming dwelling was Mandela’s base until he was forced underground, as the struggle against apartheid intensified. Just up the road you can stand outside the house of another apartheid-era hero, Archbishop Desmond Tutu. This makes Vilakazi the only street in the world where two Nobel laureates lived at the same time (for a period of just 11 days, the time it took for Mandela to move out after being released from prison in 1990). Did you know? Mandela actually had two houses in Soweto, the little-visited second one is in Orlando East. 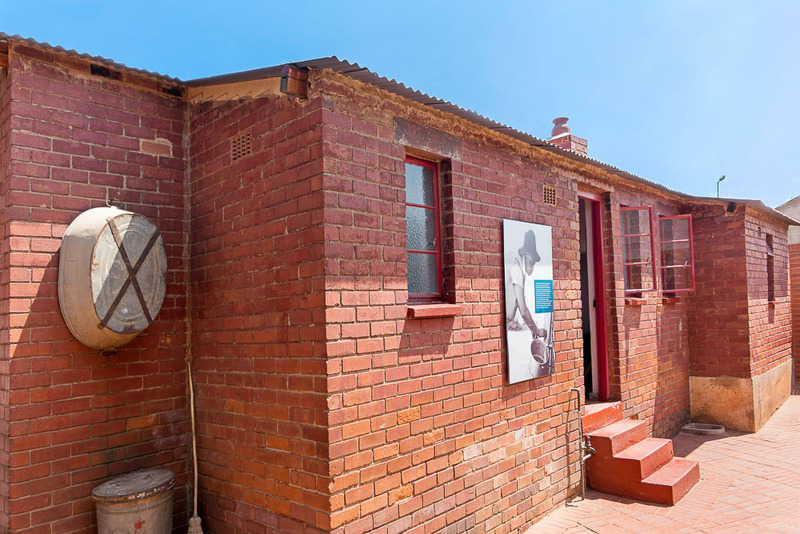 While you’re in Vilakazi Street, don’t miss the Hector Pieterson Museum for some context into just how bad the darkest years of Apartheid were in Soweto. What do you do with two monstrous decommissioned power station cooling towers? Orlando Towers has always been a Soweto landmark, but now for a different reason. You can bungee jump (100 metres) from a bridge suspended between the two towers (colourfully muralled with heroes such as the Soweto String Quartet); do a ‘leap of faith’ inside them or forward rappel down their exterior. Afterwards (not before), order a traditional shisa nyama (Zulu for ‘burn the meat’) or braai at on-site restaurant Chaf-Pozi. Select your meat (chicken wings, local sausage, beef and pork) by weight for the barbecue, then add traditional accompaniments such as pap (maize porridge), spinach and chakalaka (spicy vegetable relish). Eat with your hands for absolute authenticity. There’s also a bar here that pumps later in the evening and you can book tours here too. Despite the Soweto success stories, this place is still home to some of South Africa’s most deprived communities. Walking, bus and cycle tours of Soweto usually include a guided walk through shanty towns like Nomzamo Park (AKA: Winnie Mandela squatter park, established 1991). The local guide will show you around a tightly-packed rabbit warren of tiny wood and tin shacks (that in Nomzamo’s case house between 7000 and 10,000 people), which have running water but few other government services. The average child here walks 45 minutes to school. The tours at first feel a little zoo-like and obtrusive, but nothing gives you more perspective on just how stratified South African society still is. Expect to see six or seven people living in a small, dirt-floor shack. The tiny spaza shops lie at the heart of community’s commerce, selling the basics: paraffin for stoves, eggs, fish, beans and single cigarettes. And if you’re peckish, women walk around selling sheep heads ($2.50 for a half). The crime in these neighbourhoods can be surprisingly low because of the close proximity of the houses and the shared spirit. On a tour, inevitably, you will end up partaking in an umqombothi or two (a traditional beer made of sorghum and maize meal) in a shebeen (formerly illegal local pub, which brings a new meaning to the word ‘rustic’ – check out The Shack on Vilakazi Street). You just don’t drink the beer, you must get on your knees and ceremonially swig it from a drinking vessel known as a calabash. Traditionally, the women of the township would brew the concoction and serve it on their knees, making sure not to make eye contact with the drinker. It is only usually served on ‘special occasions’ and drunk ‘for the ancestors’. Welcoming tourists now seems to be included in these occasions. ‘Don’t drink and walk on the road, you may be killed’ is the warning splashed across the legally produced version (yes, Soweto is awash with home brew). But don’t worry, umqombothi is comparatively low in alcohol – one or two per cent. Once considered one of the most deprived areas in all of South Africa, there is money flowing into Soweto from the new waves of prosperous South African businessmen and women. 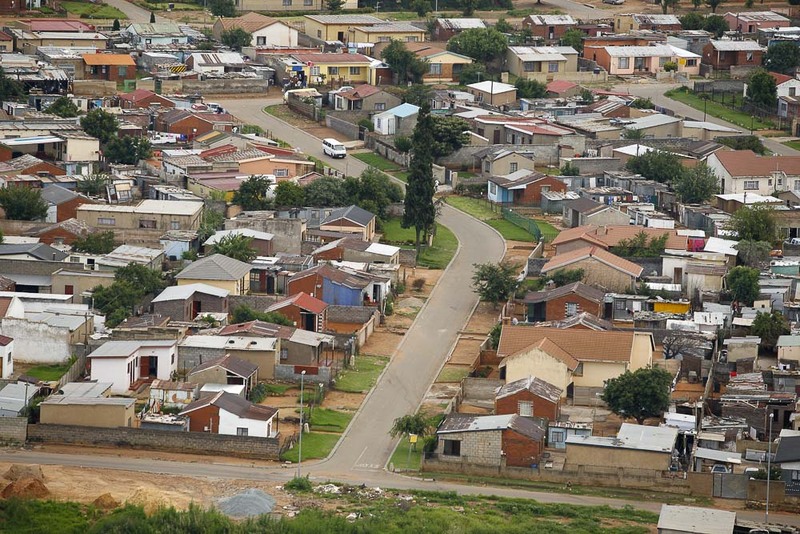 Over the past two decades, successful Sowetons have been moving to neighbourhoods such as the Diepkloof Extension and building two-storey, double-garaged homes like the rest of wealthy South Africa. Soweto’s ‘Beverly Hills’ houses success stories from the soccer club chairman to local business owners. But instead of resenting the elite, many Sowetons look up to and try to emulate their successes. Soweto facilities are slowly catching up with waves of rand and include, so far, a (public) golf course and country club. You don’t have to dip in and dip out of the township if you want a more personal experience. There are no five-star stays in Soweto just yet but there are a couple of hotels already, plenty of B&B and guesthouse options (especially around Vilakazi Street), plus a well-resourced and comfy backpackers. And, yes, you can even get wi-fi in some. There are 16 teams in South Africa’s elite PSL (Premier Soccer League), but a huge percentage of the country supports just two teams, both of them in Soweto. Forget rugby and cricket, nothing makes South Africa stand (noisily) still like a local derby between superstars the Kaizer Chiefs and the Orlando Pirates. 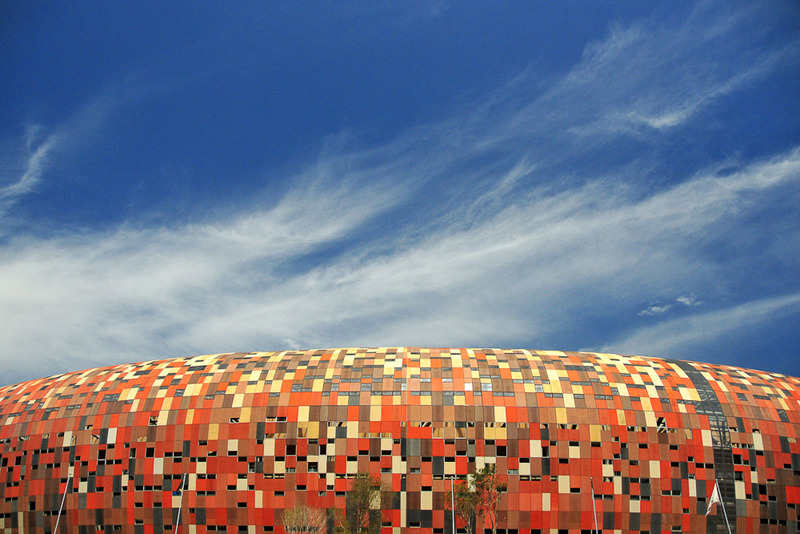 The design of the Kaizer Chiefs’ home ground, FNB Stadium (AKA Soccer City), which hosted the 2010 World Cup final, was based on the traditional drinking vessel known as the calabash. The capacity of the ground is 95,000. 8. Is it a town(ship) or city? Although Soweto is part of Johannesburg, it has truly sprawled into almost a city in itself – now about 150 kilometres squared. The official population is around 1.3 million, but estimates seem to start at about double that, especially if you take into account the sprawling shanty towns, which indeed you should. To put the township in perspective, Soweto is home to the 170-acre, 3400-bed, Chris Hani Baragwanath Hospital, the largest in the southern hemisphere and the third largest hospital in the world.